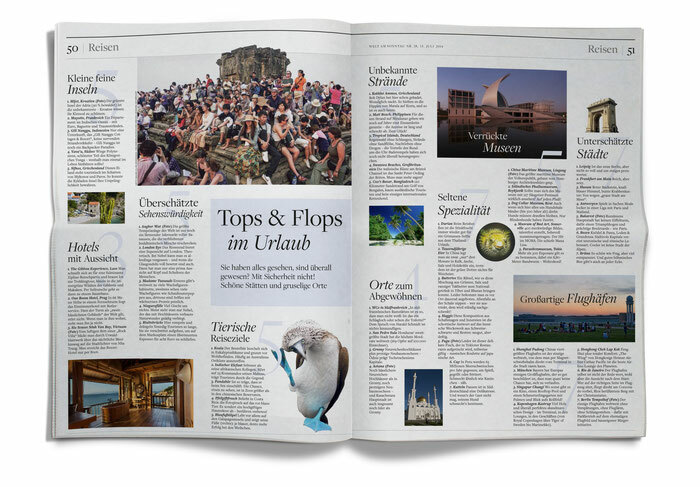 Welt am Sonntag kompakt is a weekly newspaper in a small format (247,8 mm x 370 mm). It’s about politics, finances, sports, culture, travelling etc. For several years I worked as a page designer and substitutional art director for this newspaper.